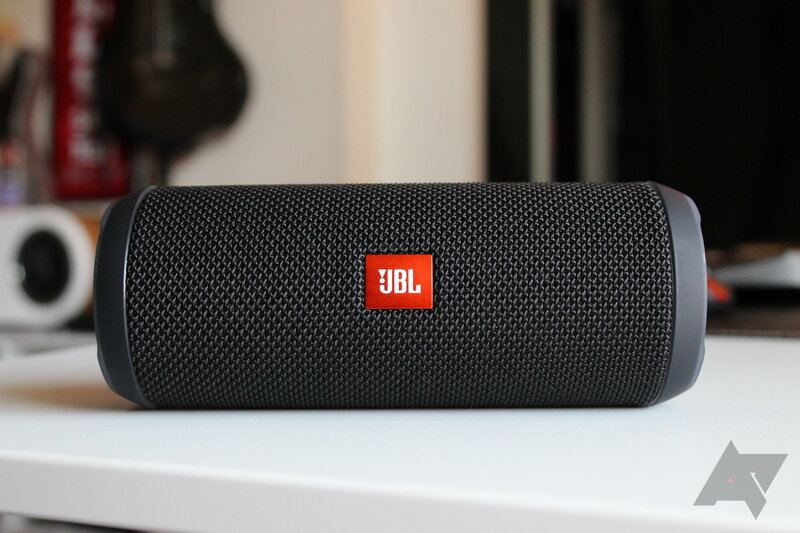 When it comes to Bluetooth speakers, there are a few brands that I find to be consistently awesome. 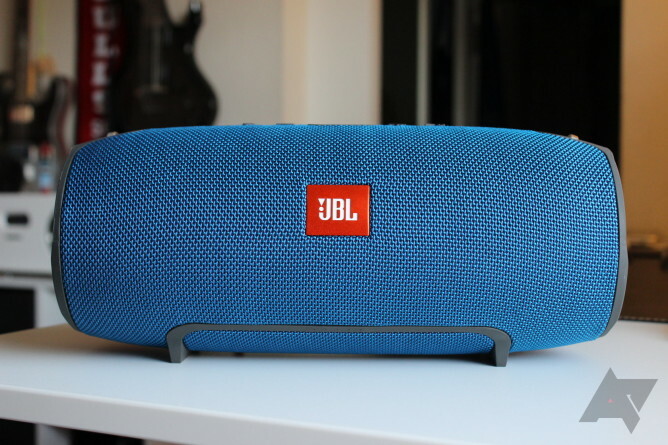 After spending a few weeks with the Xtreme ($299) and Flip 3 ($99), I think JBL may have made itself a mainstay on that shortlist of manufacturers that make great speakers, because these are two of the most impressive pieces of Bluetooth audio equipment I’ve ever laid, um, ears on. Seriously — I was not expecting either of these speakers to be as awesome as they are. Let's start with the big one. I like to put BT speakers into a few categories: ultra-portable, portable, boombox, and bookshelf (or non-portable). The Xtreme fits pretty well into the “boombox” category — it’s portable, but not the type of speaker that you throw into your bag and take to the beach. Nope, this one is pretty big, so it’s definitely on its own when it comes to travel. 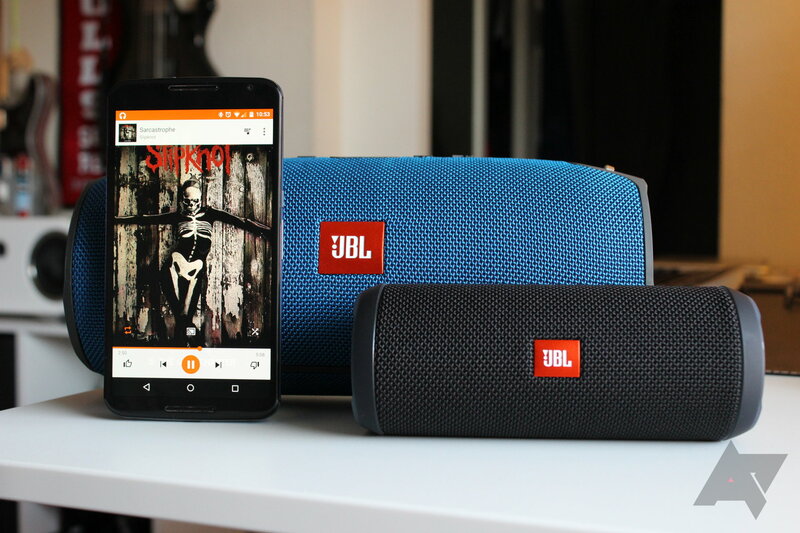 In fact, JBL threw a couple of hooks on its sides and includes an optional shoulder strap. It’s a beast. I mean, it’s not as big as something like the G-Project G-BOOM, but it’s still pretty massive. OK, so we've already established that the Xtreme is pretty damn big. But you know what? 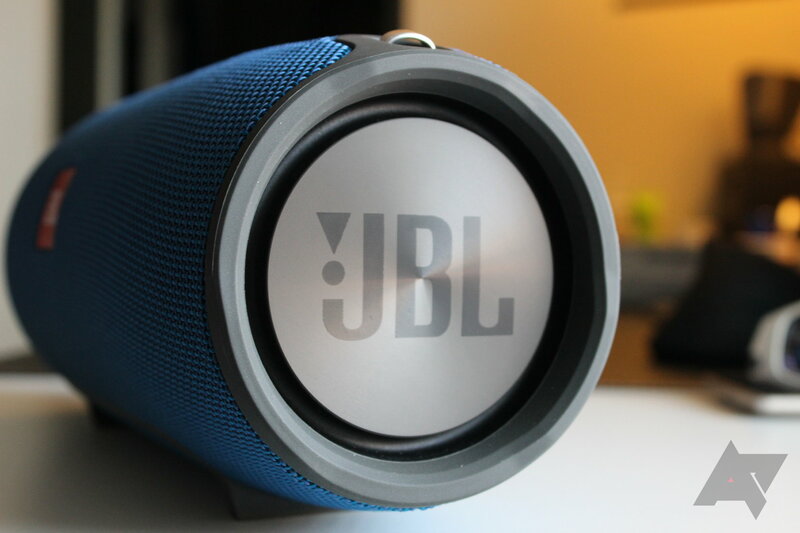 It looks awesome — like a huge canister-style speaker, and less an actual "boombox." I'm good with that. The front of the speaker is pretty plain, to be honest. The controls are along the top, along with the aforementioned "hooks" for the carrying strap. 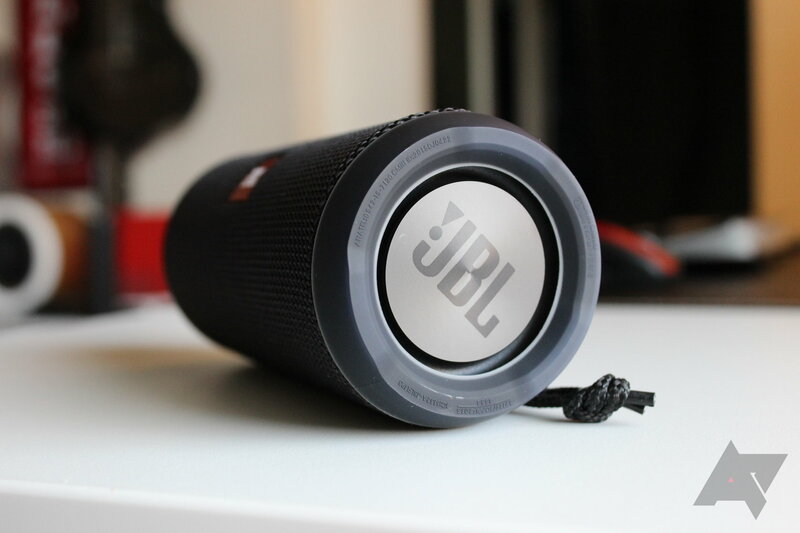 The only interesting thing to note about the controls is the little hourglass-looking button, which is used for JBL Connect. This allows two speakers that support the feature to be paired together for stereo sound. And yes, it worked with the Xtreme and the Flip 3. They even share volume controls once paired — turn one up, the other turns up too, and vice versa. 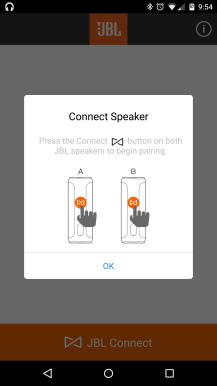 This isn't the first time I've seen a feature like this implemented of course, but I will say that it's probably the easiest to use of the bunch — hit the button on both speakers and let them do their thing. Done. The back of the speaker is where things get a little more interesting; since it's splash-proof, all of the ports and whatnot are locked up tight beneath a zipper. This is honestly the first time I've ever seen this sort of implementation on a Bluetooth speaker, but it works, and I like it. In fact, I probably like this better than the little "doors" that other manufacturers use, because those can be such a pain to keep open. Beneath said zipper you'll find an array of useful ports: microUSB (which is labeled as "service" and plugged up by default, so I'm not sure what the purpose actually is), auxiliary, dual full-size USB ports (for charging external devices), and the proprietary charging port. Around the sides of the Xtreme you'll find my favorite aesthetic feature of the speaker: the dual, passive radiators. I don't care how often I see stuff like this, it always just looks awesome to me. I loved this same feature when I reviewed the Creative Sound Blaster Roar 2 a few weeks ago, and it looks even more awesome on the Xtreme — the radiators are bigger, so it automatically looks badasser. That's how it works, right? Whatever, that's how it works in this case. 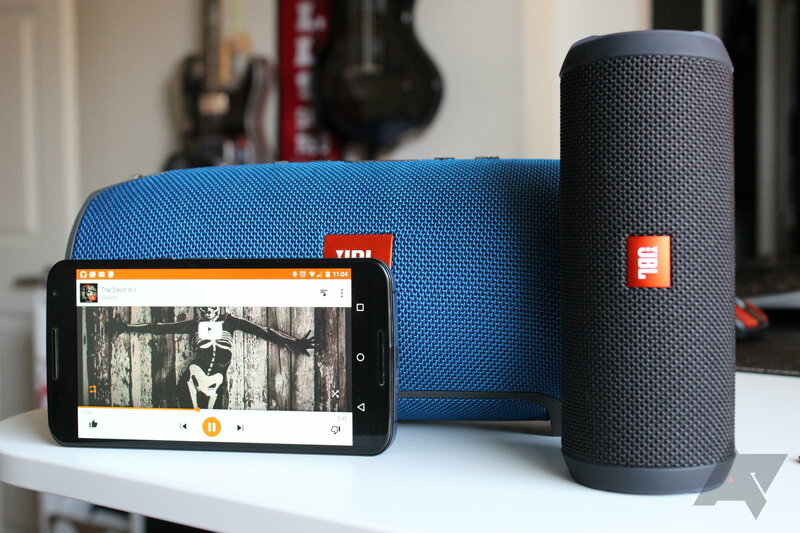 I'm going to be honest with you here: I've heard JBL speakers in the past, and I have never really been impressed. 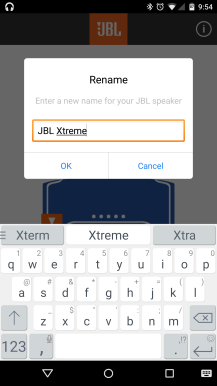 But with a name like "Xtreme," I really had high hopes for this massive speaker…and it didn't disappoint. In fact, the Xtreme kind of blew my mind when I first fired it up. This thing sounds incredible. 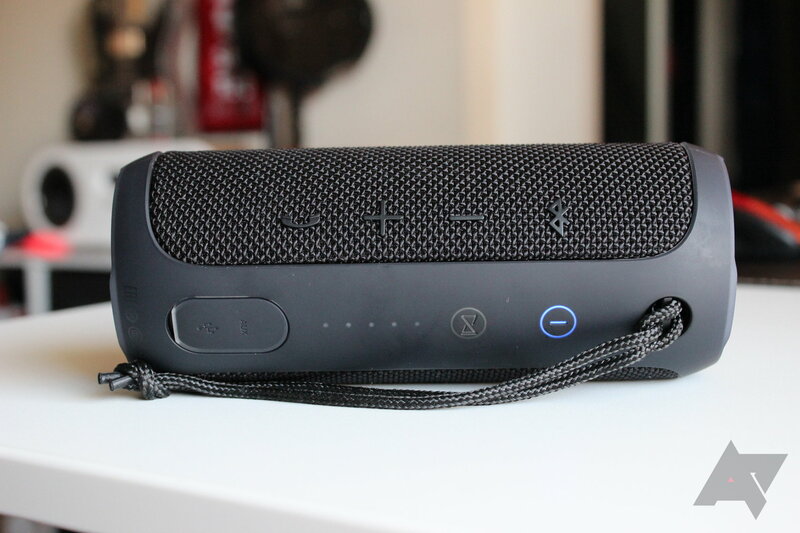 It's just so rich and full…like no other Bluetooth speaker I've heard before. Everything about the Xtreme is just so pristine — every facet of the audio experience is "clean." Crystal clear highs, rumbling lows that surpass anything I've ever heard from a speaker of this size. It's so well balanced, it almost sounds perfect right out of the box, and I'd like to think I'm pretty picky about sound quality. Honestly, I'm in awe every time I turn it on. It's that damn good. But, as most of you know, I'm a huge fan of Ultimate Ears stuff. So the real test was pitting the Xtreme up against the MEGABOOM. A fight to the death…or at least until I figured out which one sounded better and turned the other one off. That's close enough to "death" for me. 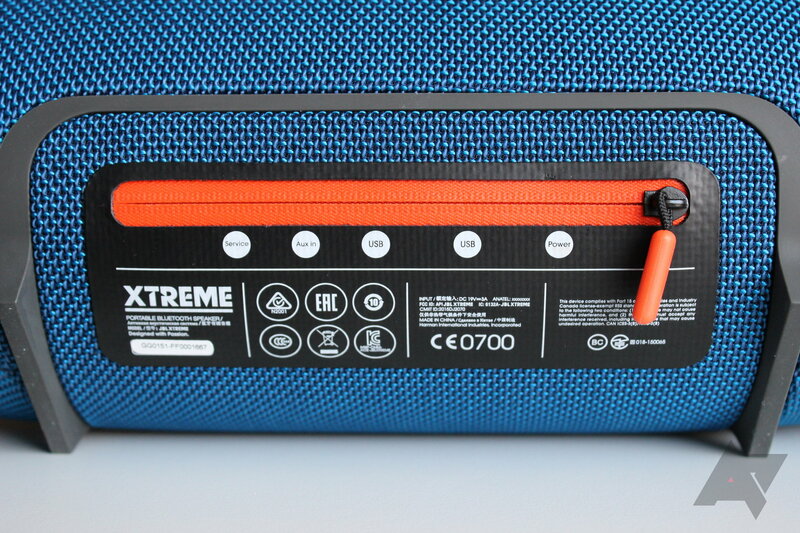 To put it simply, the Xtreme basically blows the MEGABOOM out of the water. 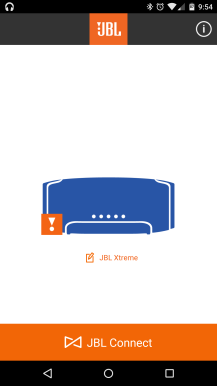 While I loved the MB when I reviewed it back in February, there really is a new king in town, and it's the JBL Xtreme. For the same price as the MEGABOOM, it's just so much more speaker. 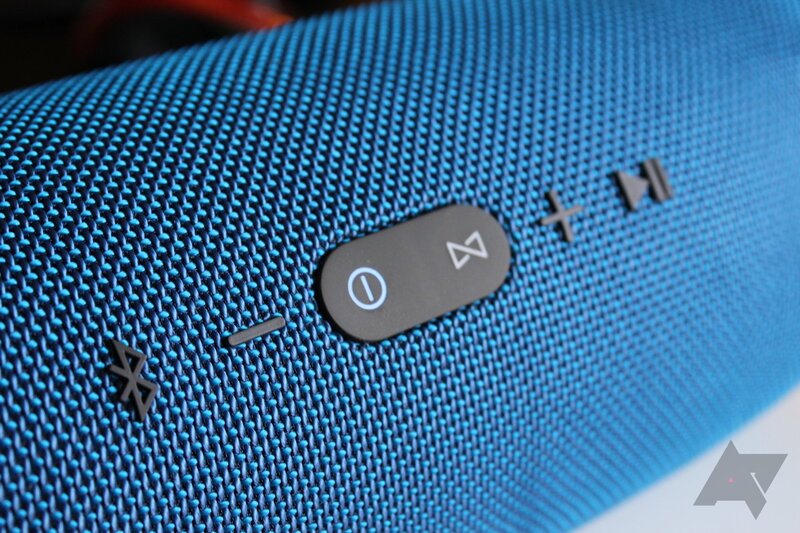 In comparison, it makes the MEGABOOM sound like the cheap, tinny Bluetooth speakers of a few years ago. It's easily the best $300 Bluetooth speaker on the market right now. Then there's the Xtreme's little brother, the Flip 3. When the original Flip came out, David called it "the best portable Bluetooth speaker on the market." After that, however, competition got a lot stiffer. The UE BOOM hit the scene, and — at least in my opinion — changed everything. But now JBL is back with the Flip 3. And you know what? Stylistically, the Flip 3 looks like a tiny version of the Xtreme. They could even be twins, a lot like Schwarzenegger and DeVito back in '88. The main difference between the two is that the F3 doesn't have the zipper on the back, which is probably a good thing since it's really just too small for that. Instead, it's got a little door with the auxiliary and microUSB charging port behind it. Otherwise, it's got all the same controls: volume, Bluetooth, speakerphone, power, and JBL Connect. All straightforward. There's also a little loop and lanyard for easily…um, hanging the speaker? Something. Like the Xtreme, the Flip 3 also has the awesome passive radiators on either side…just smaller. Still, they flex all the same, and it looks awesome. The only thing I'd worry about here is how fragile they may be — I'm unsure of how easily they would break or otherwise deform if you just toss the speaker in your bag. Hopefully they're more robust than my mind would have me believe, but unfortunately that's not something I can really test (or I'm not willing to, at least). If there's one area where I was really, really impressed with the Flip 3, it's in the sound quality department. Don't get me wrong, I was blown away by the Xtreme, but I think the Flip may have actually impressed me more. Not that it sounds better, just that it sounds pretty amazing for such a small size. I don't really know how to word it in a way that doesn't somehow discredit how badass the Xtreme is, but respective of the size and price, I think the Flip 3 is just more impressive. But they're both awesome. Seriously. It just depends on what you're looking for. But getting back to the topic at hand here, you can definitely tell that the Flip 3 and Xtreme use the same sort of speakers and/or built-in EQ, because they really do sound so much alike. The Flip is just as clear and articulate as the Xtreme, and every bit as dynamic. The bass is unprecedented for a speaker of this size, and the overall balance is once again simply awesome. Again, for comparison purposes, I put the F3 up against the UE BOOM and the just-announced BOOM 2. And again, just like with the Xtreme, the Flip just absolutely destroyed the BOOM and BOOM 2 in straight-up sound…there really is no comparison. What's more, the Flip is half the price of the BOOM 2. What JBL is doing to the competition here really just isn't fair, it's total destruction. 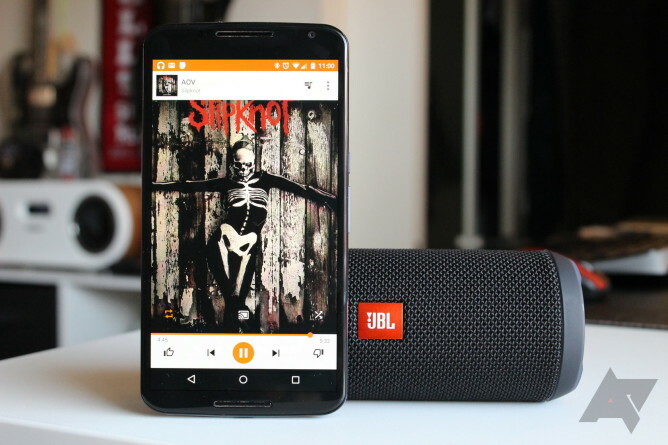 The Flip 3 is easily the best-sounding speaker you can get for the size and money, hands down. 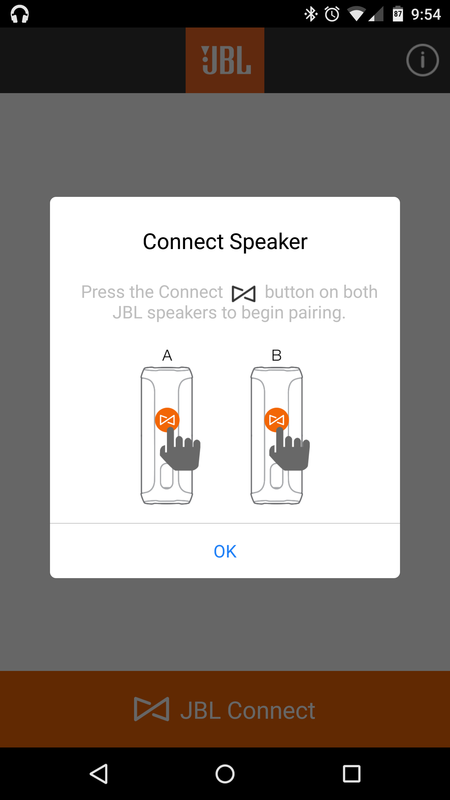 Before we get into the conclusion, I want to touch on the JBL Connect app. 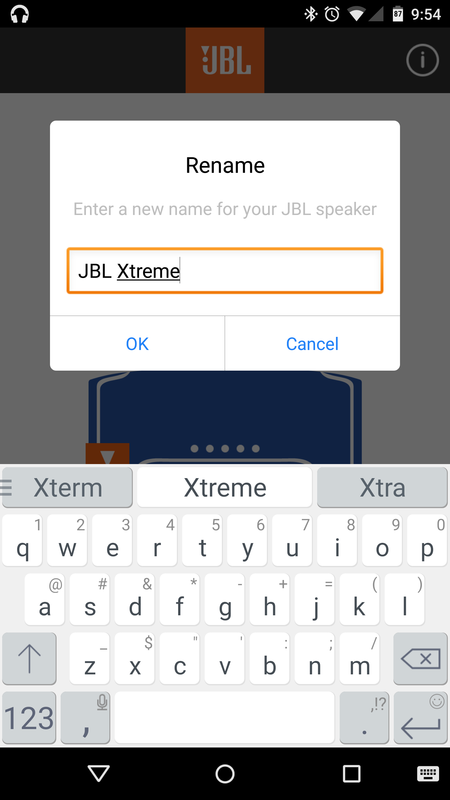 While not as robust as something like UE's BOOM app, it does offer a few things that are useful for the Xtreme and Flip 3 speakers. 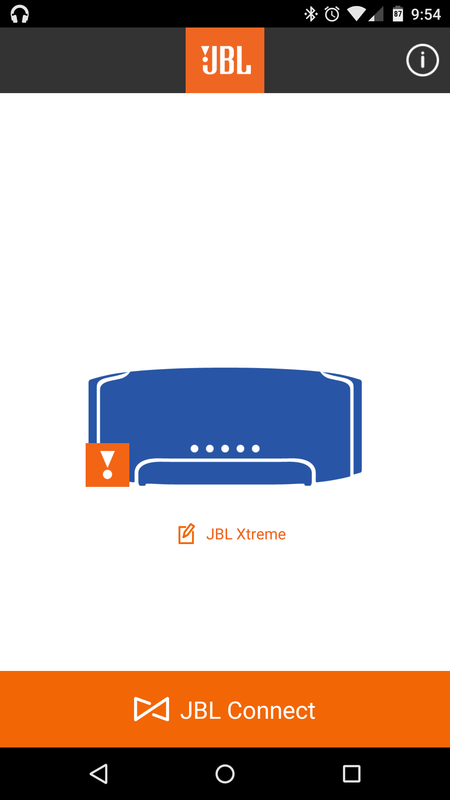 For starters, this is what you'll use to update the firmware on the speakers, so that automatically makes it a must-install if you have any JBL speaker that supports Connect. Past that, this is where you can manage the speaker names, as well as the Connect feature itself (which pairs two speakers together). Really, that's it though. It doesn't have any of the more advanced features that you'll find on the UE stuff — no alarm, EQ, or the like. That doesn't mean those things can't come in the future, but for now, it's a pretty simple app. 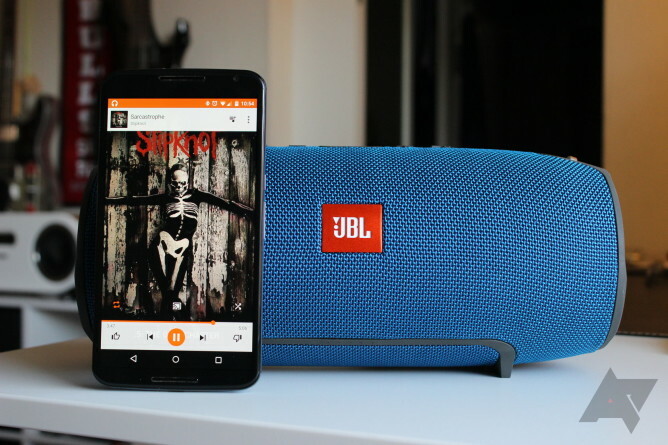 The JBL Xtreme and Flip 3 do for Bluetooth speakers today what the Ultimate Ears BOOM did two years ago: change the game, and set a new standard. If you haven't already figured this out, I'm a total believer in JBL at this point. Not only are the Xtreme and Flip easily the best-sounding speakers in their respective size classes, but they do it at excellent price points. 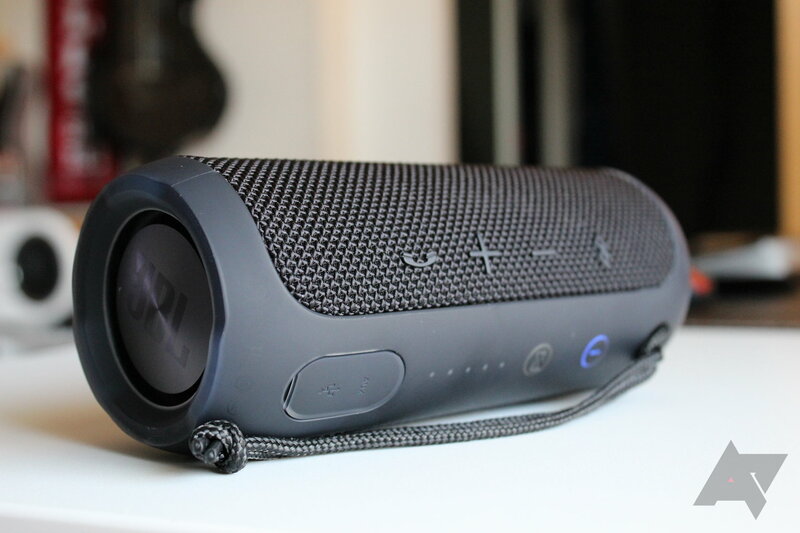 At $300, the Xtreme is in the same price bracket as other oversized portable speakers like the UE MEGABOOM and Beats Pill XL, but it takes the sound quality to a level that no one else in this bracket can come close to touching. Along those same lines, the Flip 3 not only comes in at a totally mind-boggling $99, but it easily puts the UE BOOM — which costs twice as much — out of the game completely. And to even think about comparing it to the UE ROLL would just be absurd. There is no contest there at all. To put it bluntly, the JBL Xtreme and Flip 3 do for Bluetooth speakers today what the Ultimate Ears BOOM did two years ago: change the game, and set a new standard. If you're looking for a new speaker to jam out with, look no further than either one of these two. 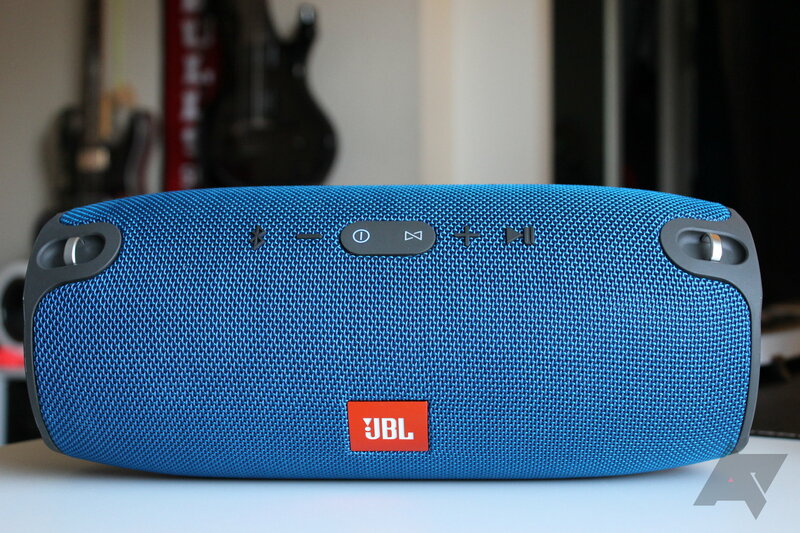 Regardless of which price bracket you're shopping in, these are the best the Bluetooth speakers the market has to offer right now. For those curious, I always use the same playlist when testing speakers. If you're interested in checking it out, you can find it on Google Play music. I generally also have one or two albums I can't stop listening to with each new speaker. For the Xtreme and Flip 3, it was Slipknot's newest, .5: The Gray Chapter and MGK's Lace Up, both of which are great from start to finish.